Fr. Robert Barron’s Lenten Reflection echoes one of my earlier Lenten Blogs. But thankfully, my friends gave me an interesting prompt: Post 15 random facts about yourself along with your best selfie and your worst selfie. So here goes! I have lived on both the East and West coasts. I have yet to go North. 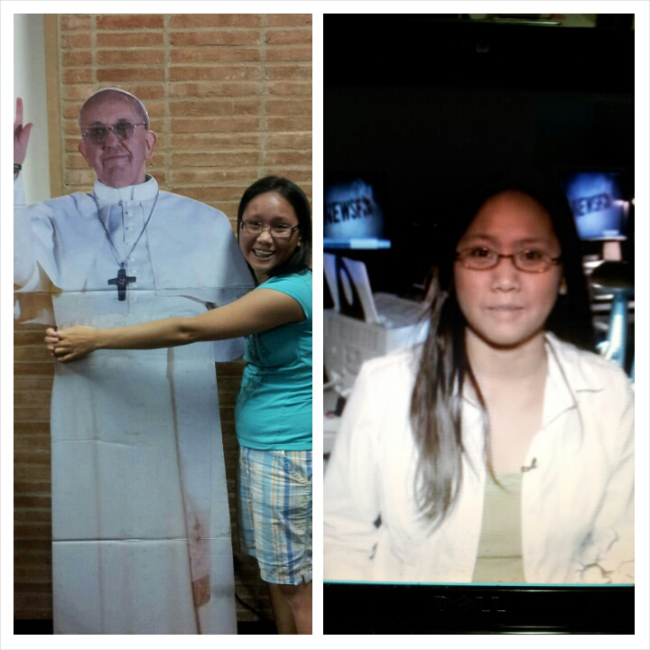 The selfie on the left was from a retreat. The selfie on the right is a “screenshot” of my 5 second-cameo at a news station that I interned at. ← Lent Day 31: What is Love?